Join HOME TEAM PRODUCTIONS at the inaugural Wild River Festival (MUSIC -- FILMS -- COMEDY!) in beautiful St. Paul MN, for the screening of&SONGS & STORIES: New York Remembers Rory Gallagher! WHEN: Friday, September 8, 2006, at 8 PM! 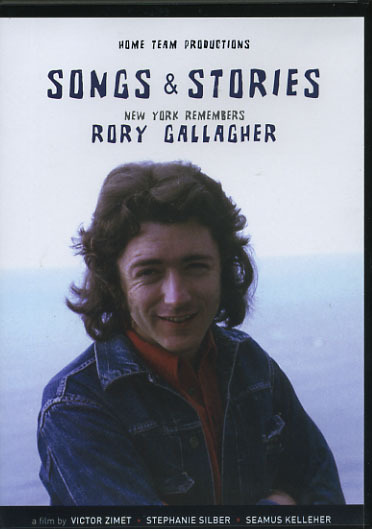 Rory Gallagher blazed a trail for U2...Boomtown Rats...counted as fans John Lennon and Bob Dylan. But most of all, the late Irish guitar legend spearheaded a cultural revolution. A smoking tribute to the potent legacy of a blues artist who was a "little Dr. Jekyll and a little Mr. Hyde." Featuring Larry Kirwan of Black 47! Other artists interpreting Rory's songs at the tribute filmed at the famed Bottom Line include Pierce Turner, Matt O'Ree, Sean Fleming, and many more!